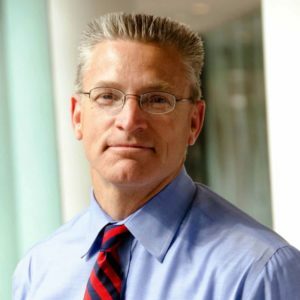 Gary Haugen is CEO and founder of International Justice Mission. Before founding IJM in 1997, Gary was a human rights attorney for the U.S. Department of Justice, leading an international team of lawyers, criminal prosecutors, law enforcement officers, and forensics experts to gather evidence that would eventually be used to bring the perpetrators of genocide to justice. Gary has been recognized by the U.S. State Department as a Trafficking in Persons "Hero" - the highest honor given by the U.S. government for anti-slavery leadership. He is the author of several books, including Good News About Injustice; Just Courage; and, most recently, The Locust Effect: Why the End of Poverty Requires the End of Violence. How do I stay in rhythms of retreat and rest that have become so sustaining for me? How do I stay connected to the community that is the Transforming Center? Where do I find ongoing support for the sacred rhythms that have become my rule of life? How do I keep forging a connection between my soul and my leadership? What's next for me in my journey of leadership transformation? In response to these questions and our shared desire for ongoing connection, we have established a "sacred rhythm” for those who have completed the Transforming Community experience – an annual alumni retreat. One of the great benefits of being a Transforming Community alum is this exclusive opportunity. Typically our alumni retreat will take place just after Easter. The season following Lent and Holy Week is an excellent time for pastors and ministry leaders to "retreat" from their ministry context for rest and replenishment in God's presence. Past speakers have included Robert Mulholland, Jerry Wagner, Ron Rolheiser, Curt Thompson, and David Bailey. Questions? Email events@transformingcenter.org or call us at 630-588-8133.